Kristina Krogh is a visual artist and designer (b. 1986) working across fields of art and design. Her work is built around a certain dynamic with a graphical language. She works with the interplay between light and shadow, color, contrast, and a combination of various materials and textures composed in clean compositions. Geometric and organic shapes, patterns and tactile surfaces are some of the things that Kristina is inspired by and therefore strongly represented in her work. Her goaI is to make work that is an invitation to observe the world through shape, color and surface. After graduating with a Bachelor in Graphic Design from the Danish School of Media and Journalism in 2011, she established her art and design studio in Copenhagen in 2012. Her works are sold in premium design stores and are often featured in national and international design magazines. Her works are numbered in limited editions of either 10, 20, 50, 200, 300 or 400 per artwork, signed and numbered by Kristina. When her limited edition works are sold out, they will not return in new editions. Most of her works are giclée art prints printed on thick natural white (100% cotton) art paper from Hahnemühle. Giclée is a fine art printing process combining mineral-based archival inks with high quality paper to achieve fine art prints of superior archival quality, light fastness and deep vibrant colors. The quality mould-made art paper features a distinct textured surface in both look and feel. 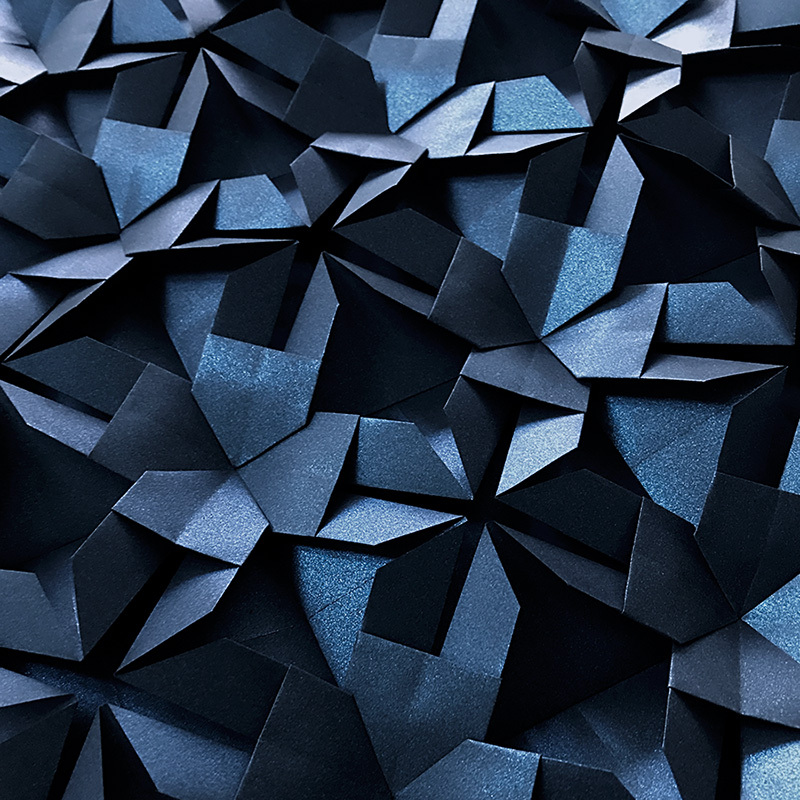 Folded three dimensional artwork (below) handmade by Kristina Krogh from folded sheets of dark blue paper. 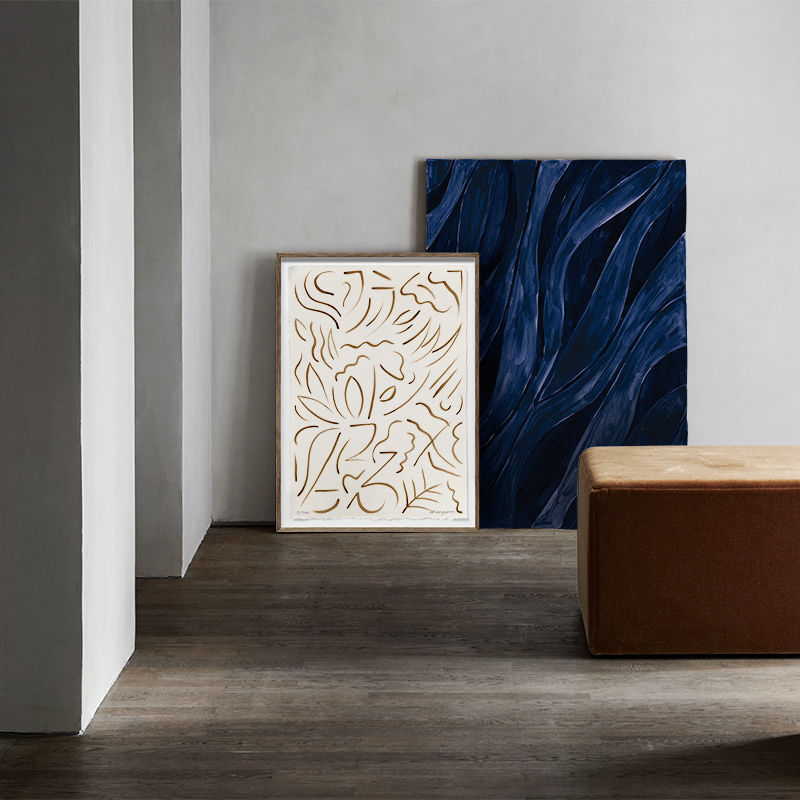 The midnight blue paper is coated with a shimmering pearl effect, which means that it changes as the light hits it, or as you move around a room. Each artwork is handmade and unique. Find it here. 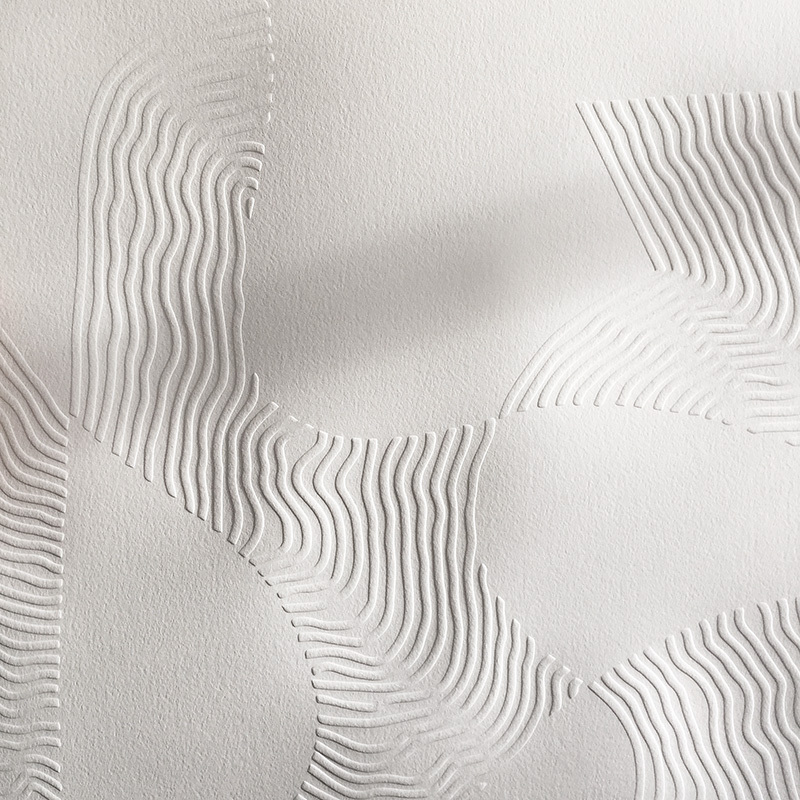 Her collection of works also include works with folded paper, hand-cut works, blind embossed works (like this work "Blind Love" below) and hot foiled printed works with metallic foils. Hot foil printing is a very exclusive printing technique that transfers metallic foils to paper at high temperatures with a metallic matrix. 'Solar' (find it here) is made with golden foil pressed into the surface of the paper. Kristina Krogh collaborates with a carefully curated selection of design and interior stores around the world (find stockists here) and her work has been featured in numerous international publications and online magazines including: Wallpaper*, Dwell, RUM ID, RUM International, Elle Decoration (Denmark, Norway, Sweden and UK), Sight Unseen, Trendland, MilK Japon, Residence, Inside Out, The Sunday Age and many more. 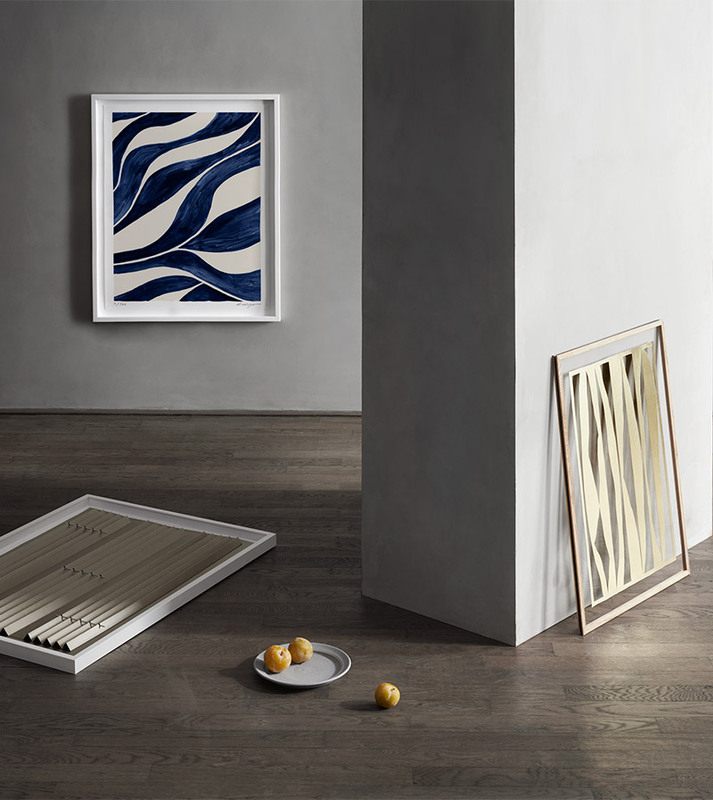 Kristina Krogh’s design philosophy is to create long lasting objects through solid craftsmanship with a simple and timeless sculptural expression. 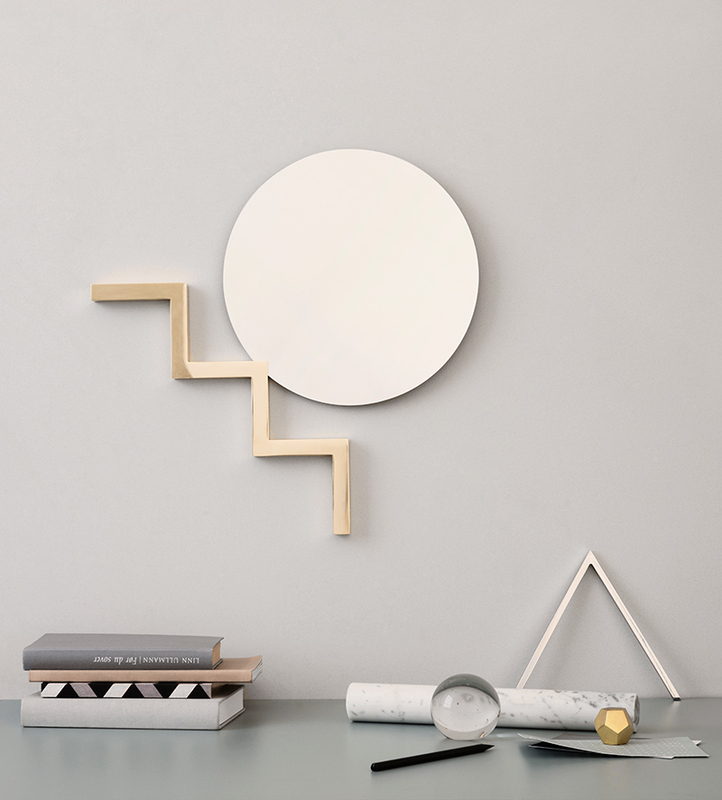 Her objects are based on clean geometric shapes with a simple sophistication. Her aim is to create objects that will last a lifetime, both physically and conceptually.